NextShort Sleepers, Steer Clear of Colds and Flu! Hormone therapy (HT) was for years touted as a panacea for women looking to avoid hot flashes, night sweats and other menopause symptoms. HT worked. The use of estrogen or estrogen combined with progestin is still recommended as a front-line treatment for some menopausal women. For others, the downsides of HT outweigh the benefits. Hormonal treatments increase the risk of heart disease, stroke, bile stones and breast cancer. If you’re vulnerable to any of these serious ailments, you’ll want to think twice about starting HT. What else is out there for mid-life women looking to stop these eruptions of our inner Vesuvius and get a decent night’s sleep? Low-dose paroxetine, a drug prescribed at higher doses for depression, holds promise. Paroxetine, a.k.a. Paxil, is a selective serotonin reuptake inhibitor (SSRI). Drugs in this class alter the chemical content of the brain by blocking a particular receptor that absorbs serotonin. More serotonin is then available to strengthen neural circuits that regulate and elevate mood. 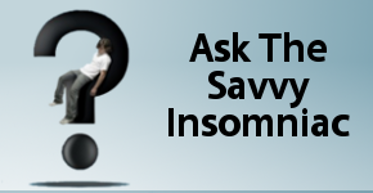 Like many SSRIs, paroxetine taken at doses recommended for depression (20-50 mg.) has an unpredictable effect on sleep. 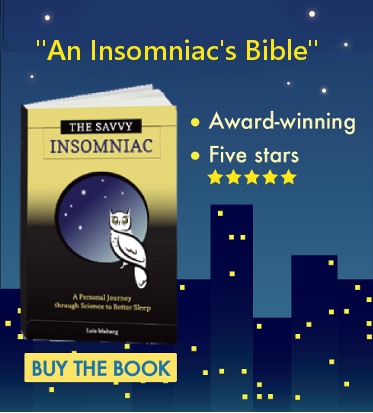 While some users report improved sleep, other users monitored during clinical trials report experiencing insomnia. Yet the results of two recent studies show that paroxetine taken at a lower dose (7.5 mg.) cuts down on nighttime awakenings due to hot flashes and increases sleep duration significantly more than placebo. Participants in these studies were 1,184 middle-aged women reporting moderate to severe hot flashes and night sweats. They were randomly assigned to 7.5 mg of paroxetine or placebo, taken once a day for 12 or 24 weeks. The results? Overall, nighttime awakenings due to hot flashes were reduced 38 percent more in the women taking paroxetine than in the women who took a placebo. Also, the paroxetine subjects consistently reported sleeping longer than those taking placebo. These results are modest. But paroxetine is believed to be safe for long-term use and, at low doses, to have minimal side effects. Paroxetine could give meaningful symptom relief to at least some women. If you’re waking up to hot flashes night after night, it’s worth exploring with your doctor. Isoflavones. These compounds exert estrogen-like effects and are found in legumes, especially soybeans. If you’ve found a reliable way to cut down on hot flash-related awakenings at night, please share it!